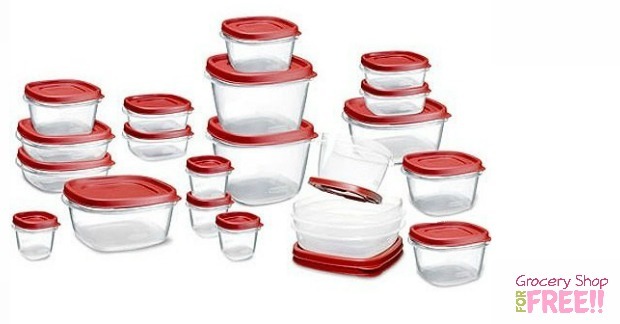 Rubbermaid 42-Piece Easy Find Lid Food Storage Set Just $9.95! You are here: Home / Great Deals / Amazon Deals / Rubbermaid 42-Piece Easy Find Lid Food Storage Set Just $9.95! Recycle those old containers and start with a clean slate! You can get the Rubbermaid 42-Piece Easy Find Lid Food Storage Set Just $9.95 down from $23.38! I have these and I LOVE them! They make finding the lids soooo much easier. I have 1 cabinet full of them and I never have to search for lids and all of the sizes are perfect for anything I need to store. I have had them over a year and they are very sturdy.